It’s critical to keep your vehicle’s transmission functioning properly regardless of if it is an automatic or manual. Here at South East Car Care, we can help you resolve your car’s transmission issues without leaving sorell. Contact us or book an inspection today. There are two primary differences between a manual and automatic transmission. A manual transmission is designed to function by locking and unlocking sets of gears to the output shaft resulting in gear ratios. While an automatic transmission uses identical sets of gears to create the varying gear ratios. But Automatic Transmissions transmissions do not have a clutch pedal nor do they have a gear stick. Instead, once the transmission is placed in drive, it’s an automatic process. Manual transmissions need to be serviced but the process is less complex because of the reduced complexity when compared to an automatic gearbox. A standard serving typically involves replacing the fluids and making minor adjustments. Automatic transmissions are made up of a range of parts that include the hydraulic system, clutches, locking bands, planetary gear set as well as a large pump to move transmission fluid around. This level of complexity means that regular servicing of automatic transmisions is critical to delivering economy, maximum performance and the longest period of service life possible. Abnormal sounds including humming, whining or a slight buzzing sound. 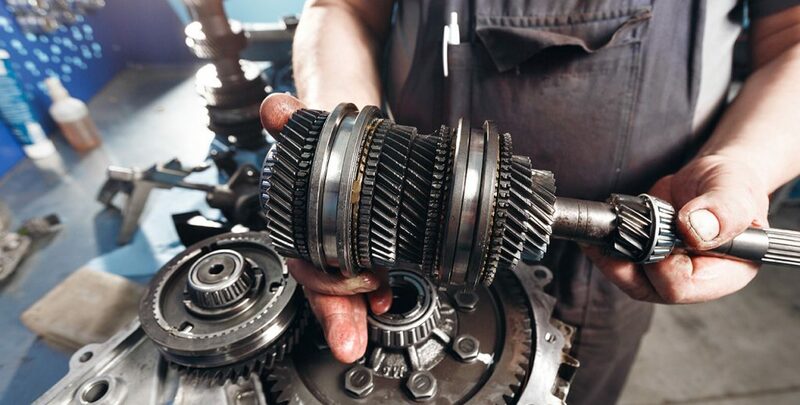 If your experiencing issues with your car’s transmission or have not had it serviced for an extended period of time please call us at South East Car Care so we can help you. DO YOU NEED YOUR TRANSMISSION INSPECTED OR REPAIRED?